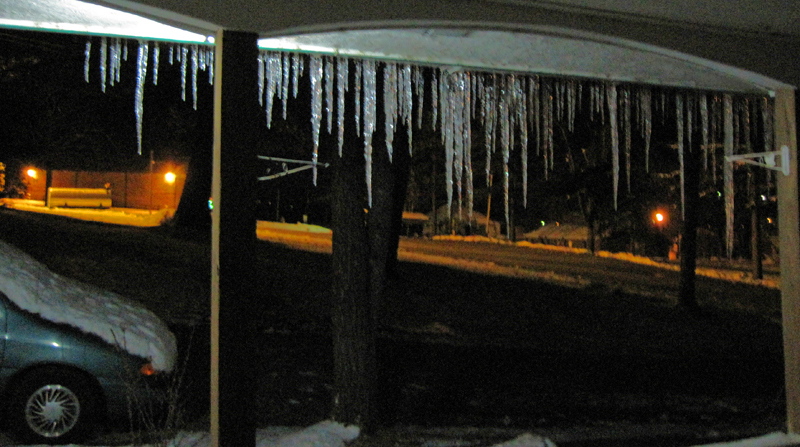 After I had done all those earlier night shots, I happened to go out onto the front porch the next evening. Here is what grabbed me. 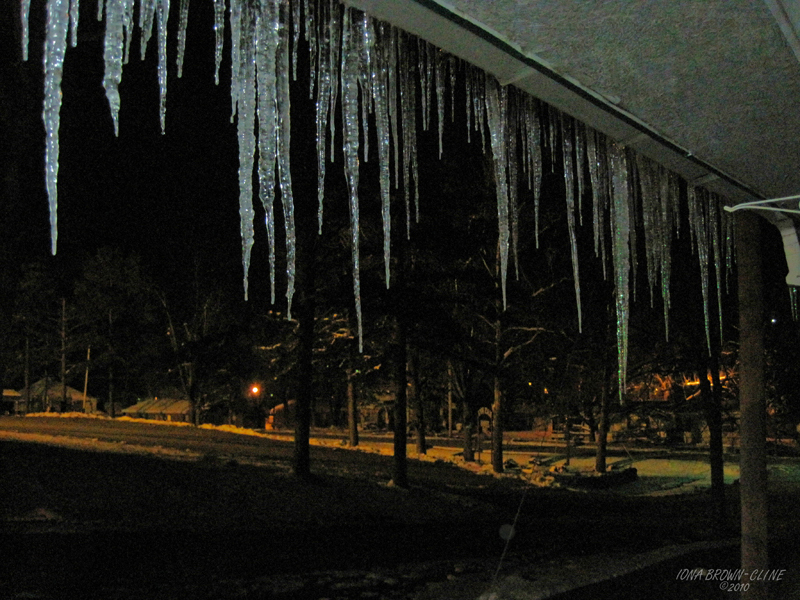 The backlit icicles, white and crystalized simply shouted to be captured. 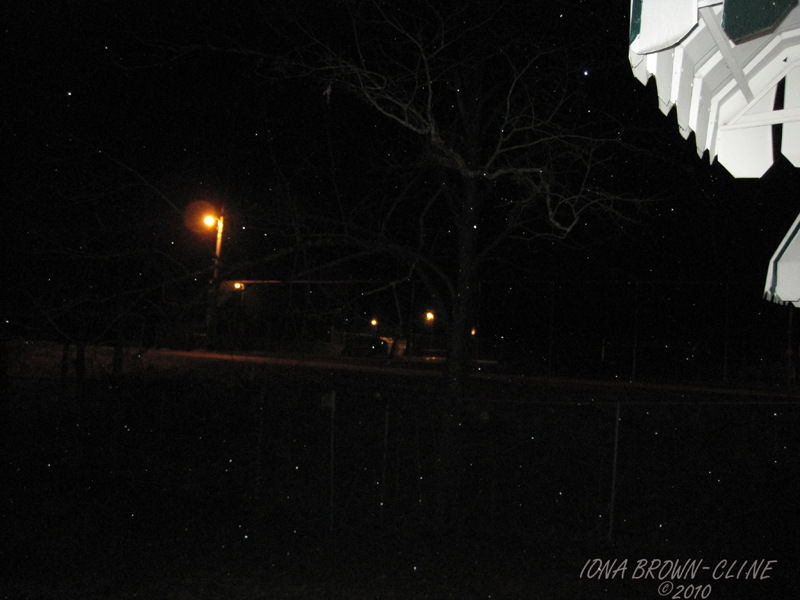 These shots actually turned out better than the earlier night snow scene captures. Some slight enhancing needed. Enlarging will enhance your viewing pleasure. We have forecasts for sleet and snow. DH said it was sleeting. Had to step out to get a shot of it, even in the dark. It is a warning of things to come, I fear. Except for reducing the size to 800 pixels, and adding my copyright, I’ve not done a thing to the photo. This is a must enlarge to appreciate (you should be able to see part of the tree and fence). The awning is over the kitchen window, and the lights you are able to see are over the school ball field.